At the recent trade shows we have attended I have been getting lots of positive reports of people having fun with infusions and fabric or yarn. As infusions are made with a permanent dye, fabric is a natural partner as they are permanent. 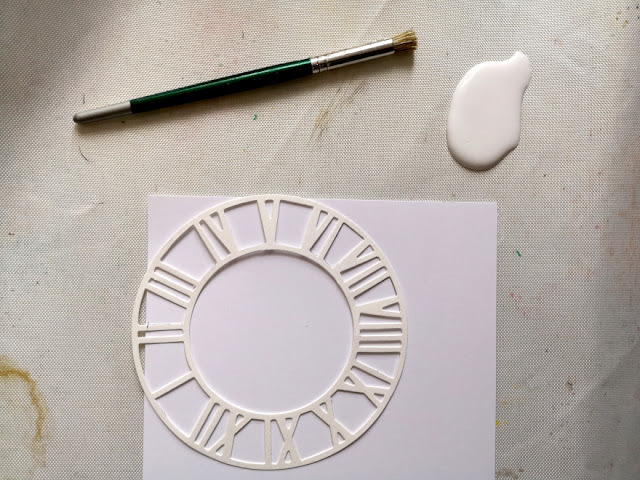 In this post, Chris has experimented with a wax-resist, tie-dye method that works a treat with a die cut clock! Fascinating! ~Leandra. Hi everyone, it's Chris Dark with you today, and I'd like to share a project that was formulated around a few ideas after choosing the Tick Tock theme and pairing it up with the gorgeous Squiggly Ink - Ding & Dong Plate 4 stamp set and Royal Blood Infusions. At a fabric and needle arts show I went to last year there was an exhibitor selling Shibori fabric plus accessories and various homewares made from it. The fabric reminded me of tie died fabric and I expect the western version emanated from this centuries old Shibori dying technique. 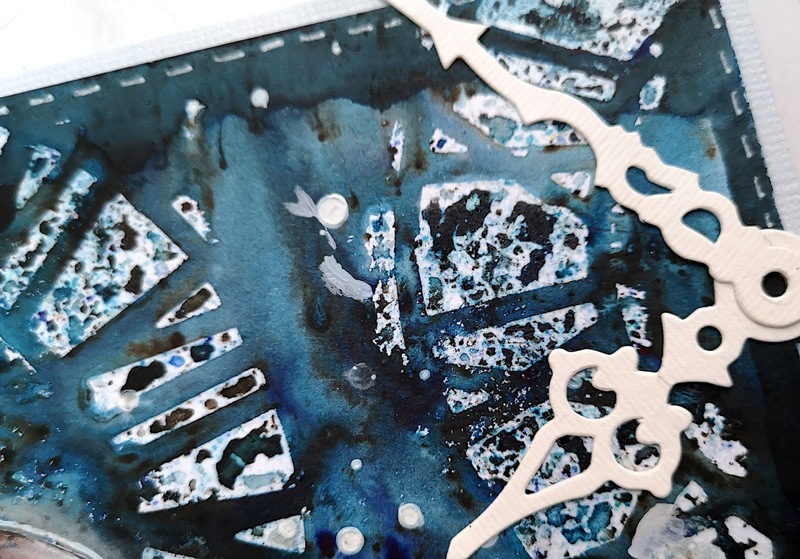 The stand had such impact, everything was in the traditional Japanese colourway of Indigo and white and the image of it has stayed with me and started me thinking of ways to create it in papercraft. Royal Blood Infusions came to mind for the colour, it's got that strong blue tone and the walnut crystals help it along and give it a natural appearance. I remembered some aquawax that's been in my stash forever and I thought it might be perfect for creating the resist, the wax could give a pleasing result if the application was stippled. I also brought in a Sizzix clock face die which fitted the theme and would work as a stencil. Above you can see a photo of a selection of Shibori fabrics. There are various resist techniques for creating the fabric; tying, stitching or pleating the fabric in different designs before dying are some and each technique has it's own name. The most used dye is indigo and sometimes madder and purple root were used. 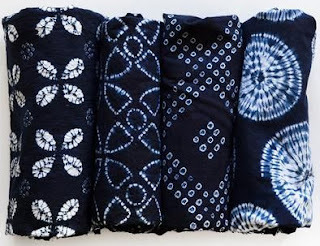 Itajime Shibori is a shaped resist technique. Traditionally, the shape is sandwiched between two pieces of wood which are held in place with string. Modern textile artists can be found using shapes cut from acrylic or plexiglass and holding the shapes with a clamp. The shapes prevent the dye from penetrating the fabric they cover. 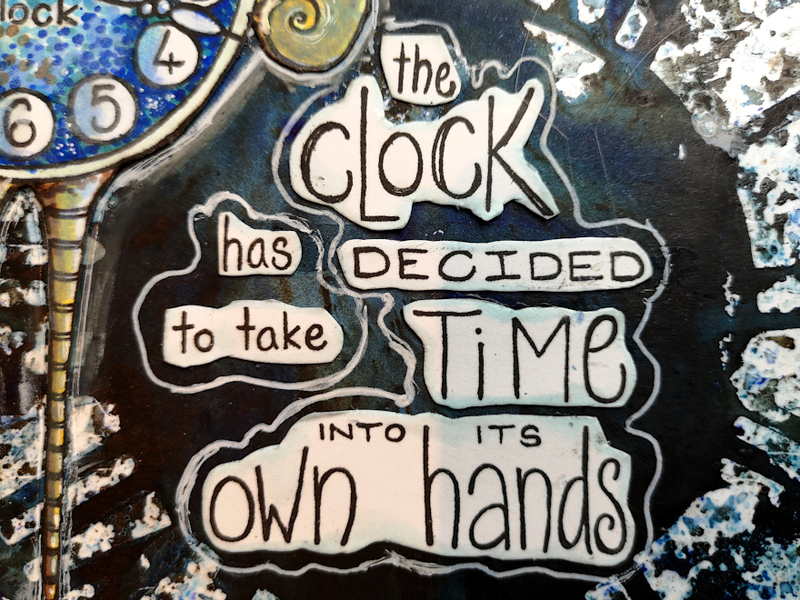 For my take on Itajime Shibori I've used a die cut clock shape held down and used with aquawax as the resist medium. 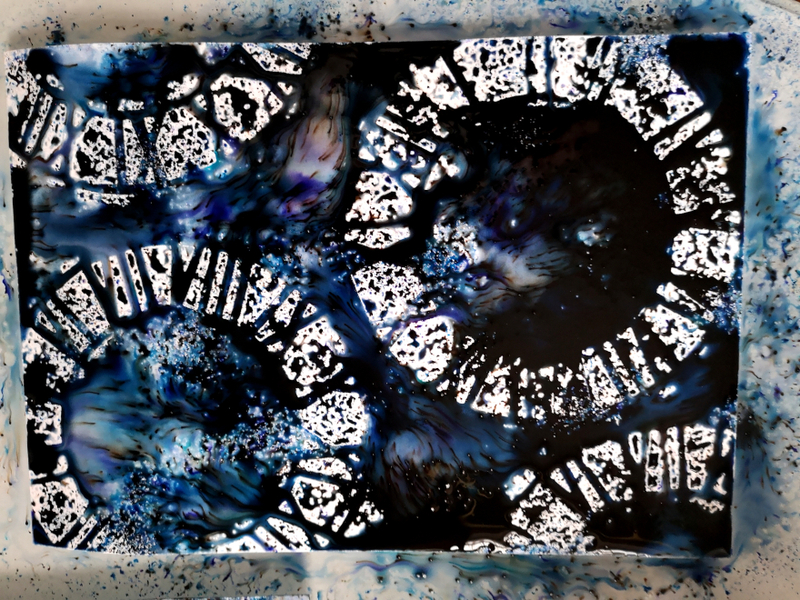 I was very happy with the resulting tie die effect and the Infusion colour gave a version of the traditional Indigo dye used to create Shibori fabric. The wax is stippled through the die cut with a flat stencil brush, don't go over it too much and leave the wax to dry naturally. Once a heavy application of the Royal Blood Infusion colour is sprinkled on and water spritzed over it you see the resist working. I love how the stippling leaves little areas where the colour can pool. Leave this to dry naturally for best results. Wish I could do what the sentiment says sometimes :D! Gorgeous Infusion colour doing it's thing! I've outlined the clock bird image to try and bring it out of the busy background with a white Stabilo pencil, there's a bit of white gel pen too. 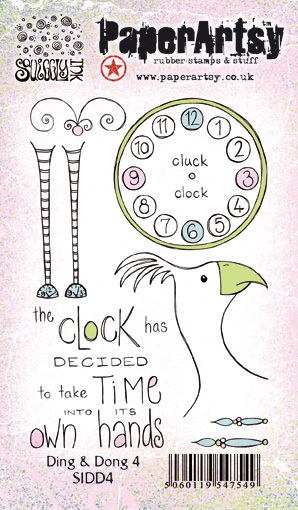 The cluck clock image (love this clock bird!) is coloured with a mixture of copic markers and pencils and highlighted with a white gel pen. 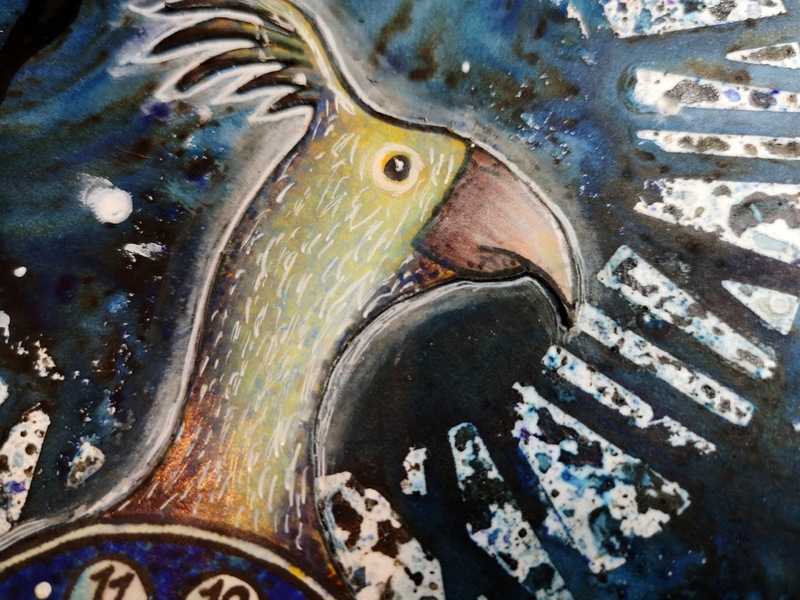 I lined all the separate bird stamps up using my stamp platform which helps with alignment or dodgy stamping! I'm very taken with this idea and will try it again with different die cuts and colours. 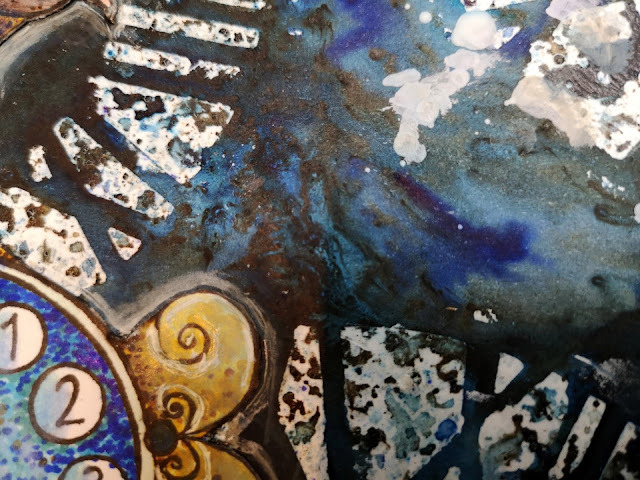 You can see that you really only need the wax, an open style die cut and stencil brush to get started and of course some of that luscious Royal Blue Infusions colour. 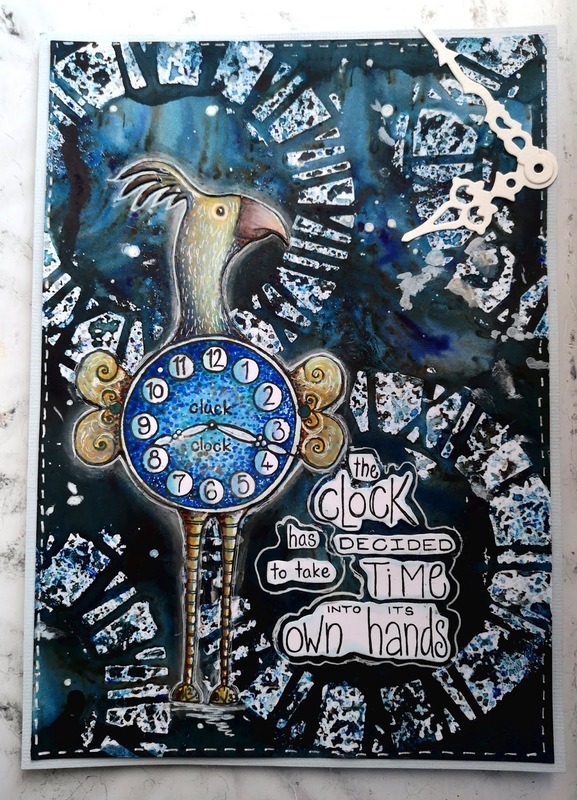 On reflection I could have brought the cluck clock bird out more by adding some gesso behind it but as ever I got lost in that background and didn't want to cover it up! :D This piece is an experimentation and will go into my reference book, I don't always have a particular project in mind or am necessarily bothered about making up the piece into something specific, I just enjoy the process of trying something out and seeing what happens.....do you do that too? If you do I hope you'll give this a try. Wonderful project, and I would love to try this technique! Now this EXCITES me Chris...I have been using infusions with fabric for a while...this fabulous piece has my creative wheels whizzing and ticking! Love it! Wow! What a brilliant use of infusions and a fabulous and fun result!